an hourly consulting services contractor for independent consulting. This CONSULTING SERVICES CONTRACT is entered into on this the [day]day of [Month], [Year], (hereinafter the "Effective Date") by and between Company,a corporation located in Texas (hereinafter referred to as the "Company" or Company) and Consultant(hereinafter referred to as the "Consultant" or Consultant). 1. Employment of Consultant. 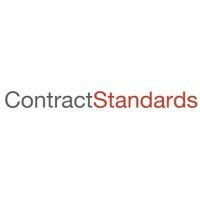 The Consultant will perform as an independent contractor all Services under this Contract to the prevailing professional standards consistent with the level of care and skill ordinarily exercised by members of his profession currently practicing in the same locality under similar conditions including reasonable, informed judgment, and prompt, timely action. If the Consultant is representing that he has special expertise in one or more areas to be utilized in this contract, then the Consultant agrees to perform those special expert services to the appropriate local, state or national professional standards. 2. Scope of Services. The Consultant agrees to provide professional consulting services to the Company upon request beginning on the Effective Date of this Contract. It is agreed that the Consultant will aid, assist and/or advise the Company on matters relating to the development, production, and utilization or support of information technology used to build a system for monitoring and operating valve manifolds. It is agreed that special projects may be added to this Contract upon request by the Company and agreed to by the Consultant. The Consultant shall not undertake any work or provide any services under this Contract unless under the request of the City Secretary. The City Secretary shall be the point of contact between the Consultant and the City. Consultant may not employ subcontractors to perform the Services hereunder except with the City's express prior written approval. The City agrees that the Consultant shall not be required to work full-time for the City under this Contract. The Consultant is free to work for individuals or other entities during this term of this Contract. Consultant will undertake no obligations, commitments, or impediments of any kind that will limit or prevent the performance of her Services according to the City's best interests. In case of any conflict between interests of City and any other entity, Consultant shall fully and immediately disclose the issue to City and, without City's express approval, shall take no action contrary to City's interests. 3. Compensation. The City agrees to pay the Consultant for services performed under this contract at a rate of fifty dollars ($50) per hour, with invoices to be paid within 30 days of receipt. Any special project shall be billed at an hourly rate to be determined and pre-approved by council based on the scope of the project, and where appropriation has been made in the City budget. 4. Term. This Contract shall begin on the Effective Date and shall terminate following the conclusion of the 2015fiscal year. The Contract may automatically renew annually following the conclusion of the 2015 fiscal year, subject to appropriation of funding therefor. 5. Early Termination. Owner or Consultant may terminate this Contract at any time upon written notice to either party. 7. Governing Law. The laws of the State of Texas shall govern enforcement and interpretation of this Agreement. Venue and jurisdiction for any court action filed regarding this Contract may lie in any competent court of [County] County, Texas. 8. Authority. This instrument forms a Contract only when executed in writing by duly authorized representatives of City and Consultant. By their signatures on this document, the signatories represent that they have actual authority to enter this Agreement for the respective parties. 9. Independent Contractor. Consultant shall perform all Services under this Contract as an independent contractor, and not as an agent or employee of Company employee or official of Company shall supervise Consultant. Consultant shall exercise no supervision over any employee or official of Company. Consultant shall not represent that it is an employee or agent of the Company in any capacity. Consultant is not entitled to insurance or workers' compensation benefits and is obligated to pay federal and state income tax on money earned under this Agreement. Except as this Contract expressly states, Consultant shall, at its sole expense, supply all equipment and materials, machinery, tools, superintendence, insurance and other accessories and Services necessary. Contractor shall be an independent contractor under the terms of this agreement and shall assume all of the rights, obligations, and liabilities applicable to an independent contractor, and any provision in this agreement which may appear to give the Company the right to direct Contractor as to the details of doing the work herein covered shall be deemed to mean that Contractor shall follow the desires of the Company in the results of the work only. EXECUTED IN DUPLICATE ORIGINALS in [County] County, Texas, this the [Day] day of [Month], [Year].